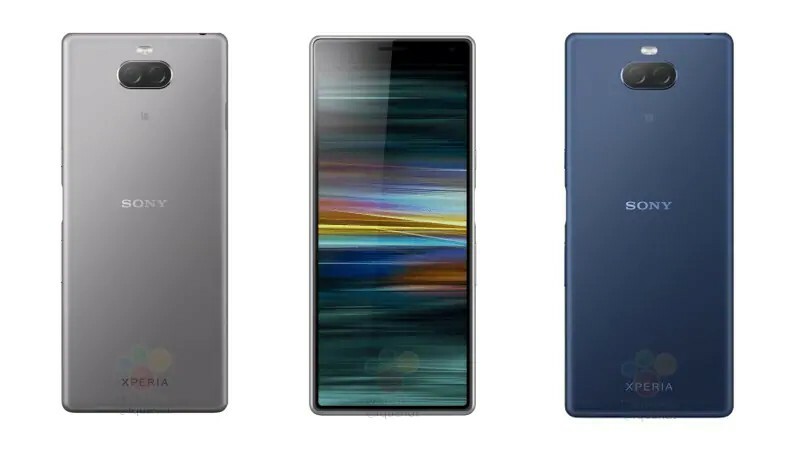 The Japanese electronics giant Sony already confirmed its presence at the upcoming MWC 2019 event and we also came through a report which suggested the specifications of the upcoming Sony Xperia XZ4 smartphone. Well, today we got a new leak and that is the renders of the Sony Xperia XA3 and it reveals the key specification details of the device. So, without wasting any time let’s dive into the article to check out all the available information about the upcoming Sony Xperia XA3. The renders of the device show the design of the rear side and the front side of the device, and the renders reveal that the device will have a tall display and there are no bottom bezels along with a thick top bezel. The smartphone will have a USB Type-C port at the bottom side which is flanked by the speakers and it also has a fingerprint scanner which is placed between the volume rockers and the power button on the right side. Moreover, the renders suggests that the Sony Xperia XA3 might be available in four colour options Black, Blue, Pink, and Silver. Unfortunately, the renders only give us a closer look at the device but there is no word on the specifications of the hardware. So, that’s all information we have at this moment of time but we believe to hear more about the device in the coming days and the company is expected to launch multiple devices at the upcoming MWC 2019 event. We recommend you to stay tuned with us for all the latest happenings from the world of tech.